Welcome to the ninth installation of tea scenes in children's books. We are back with scenes from two three picture books. 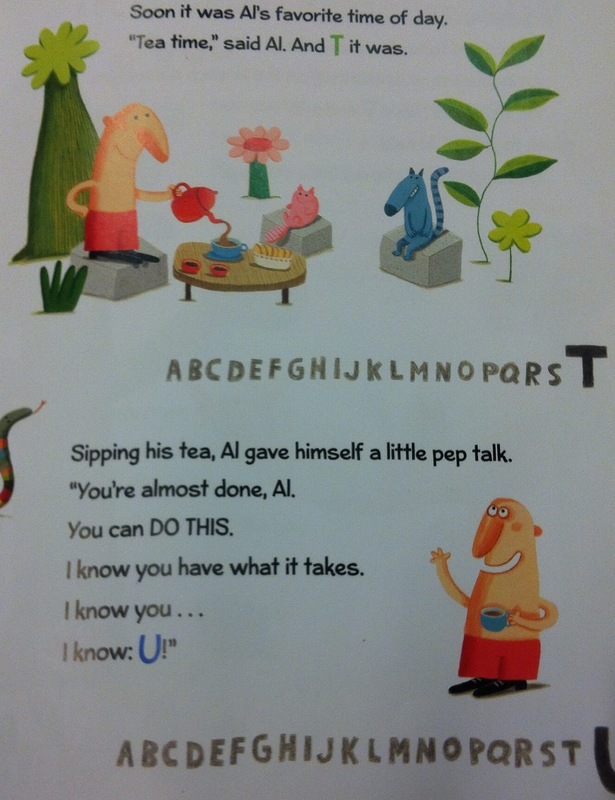 In Al Pha's Bet by Amy Krouse Rosenthal and illustrated by Delphine Durand, Al Pha creates the alphabet on a bet. He takes a tea break close to the end of his creative process. Spoon, in Spoon, also by Amy Krouse Rosenthal but illustrated by Scott Magoon, thinks that the other utensils have more fun until his mother points out all the things he can do that fork and knife and chopsticks cannot, like stirring a cup of tea! Just before his seventh birthday, Crispin imagines the things he will do with his fiery breath such as "boiling water to make tea"! Crispin is the protagonist of Not Your Typical Dragon by Dan Bar-El with illustrations by Tim Bowers. 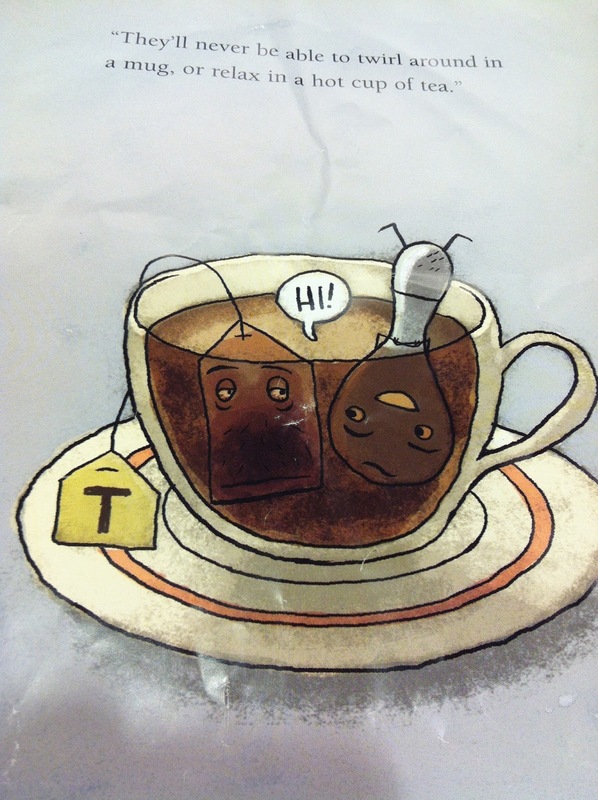 Let me know if your favorite children's book has a tea scene. You can also tweet the title with the #teainbooks tag. Catch up on the series here and check out Amy Krouse Rosenthal's website.